Published by Cambridge University Press in January 2007. 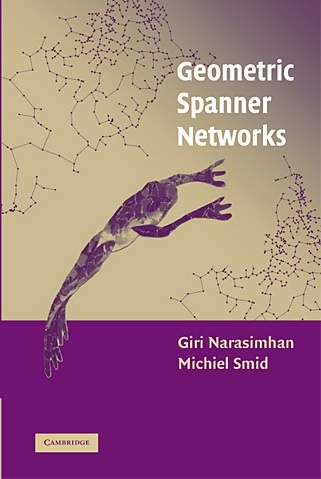 Description: Aimed at an audience of researchers and graduate students in computational geometry and algorithm design, this book uses the Geometric Spanner Network Problem to showcase a number of useful algorithmic techniques, data structure strategies, and geometric analysis techniques with many applications, practical and theoretical. The authors present rigorous descriptions of the main algorithms and their analyses for different variations of the Geometric Spanner Network Problem. Though the basic ideas behind most of these algorithms are intuitive, very few are easy to describe and analyze. For most of the algorithms, nontrivial data structures need to be designed, and nontrivial techniques need to be developed in order for analysis to take place. Still, there are several basic principles and results that are used throughout the book. One of the most important is the powerful well-separated pair decomposition. This decomposition is used as a starting point for several of the spanner constructions. Chapter 11 contains a detailed description of non-binary dumbbell trees. These notes show how binary dumbbell trees can be obtained, and how they can be used to construct, in O(n log n) time, a spanner of bounded degree and weight proportional to O(log n) times the weight of a minimum spanning tree.